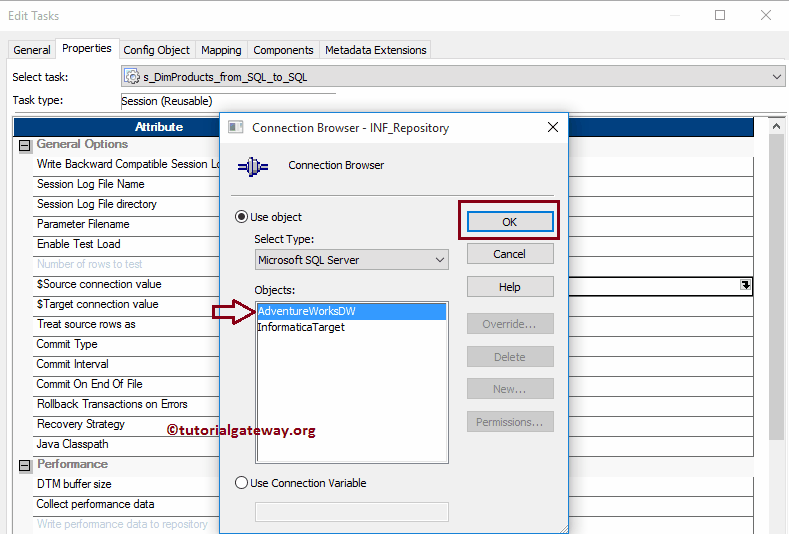 In this article, we will show you, How to create Reusable Session in Informatica with an example. 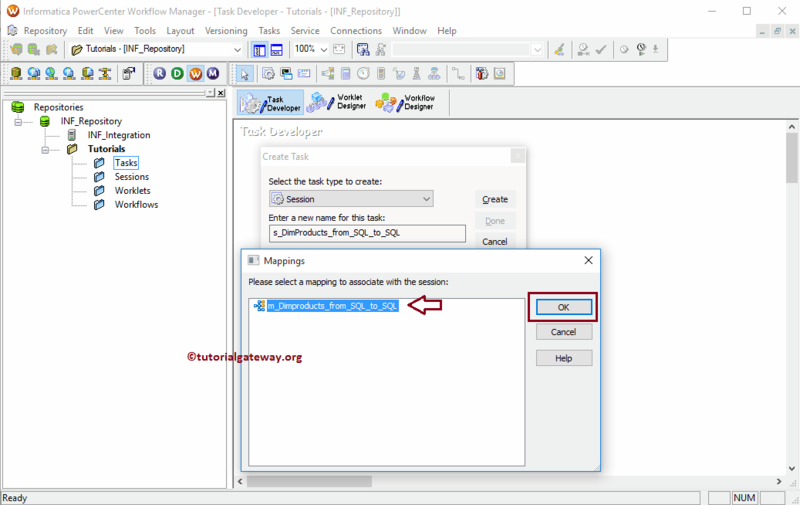 For this example, we are going to use the Mapping that we created in our previous article. 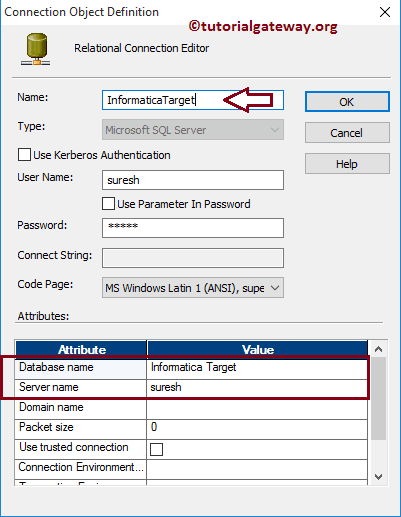 You can refer to the Informatica Mapping article for further reference. 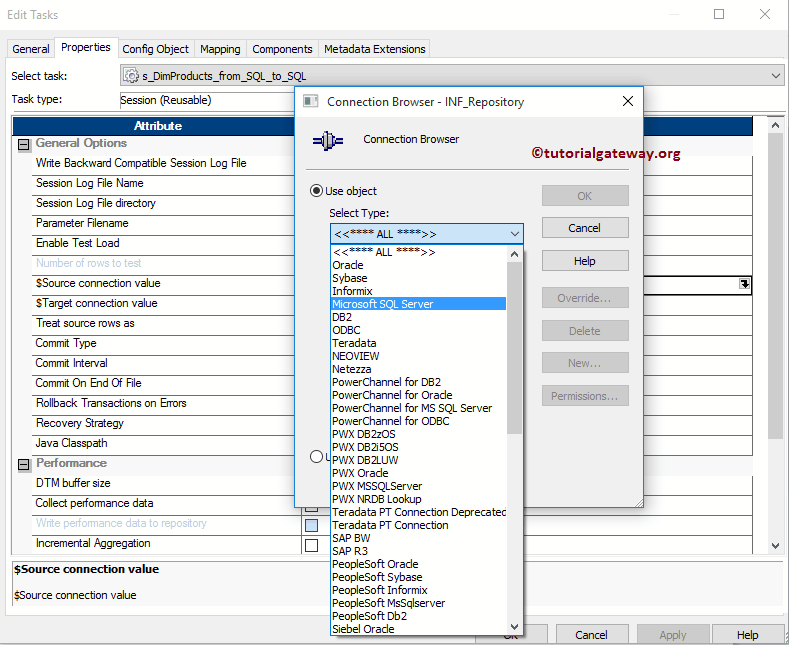 Step 1: Configuring the Source and Destination connection. 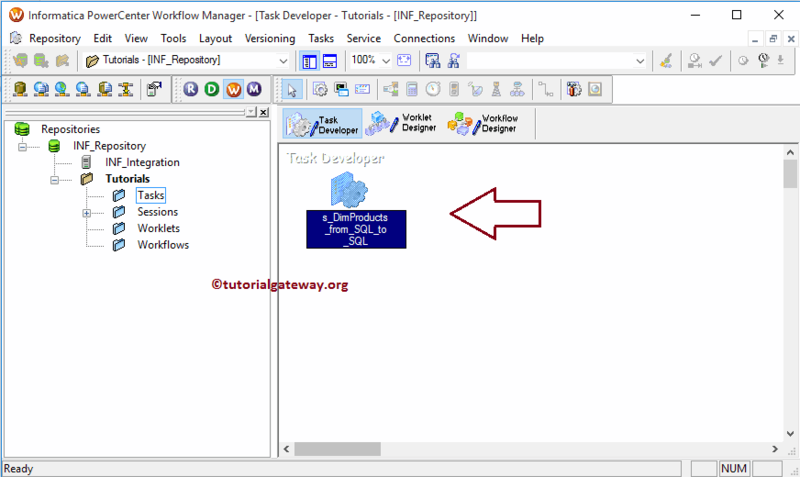 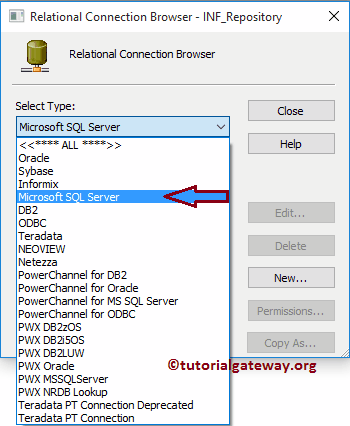 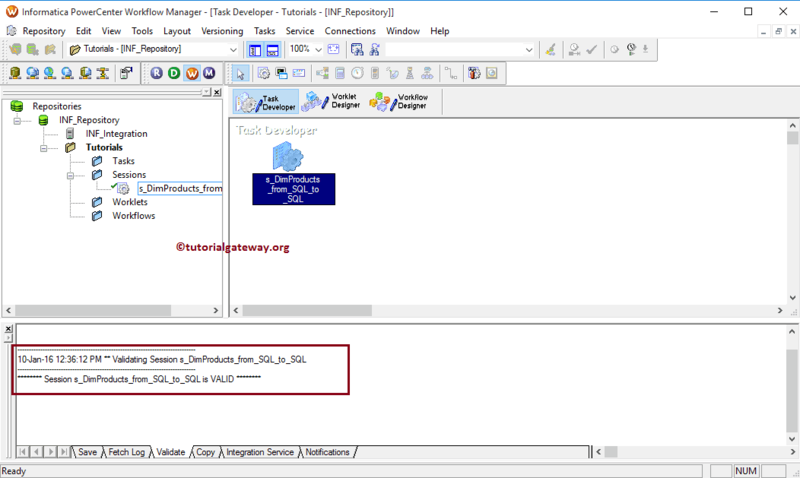 In this example, we are connecting to SQL Server Relational Database. 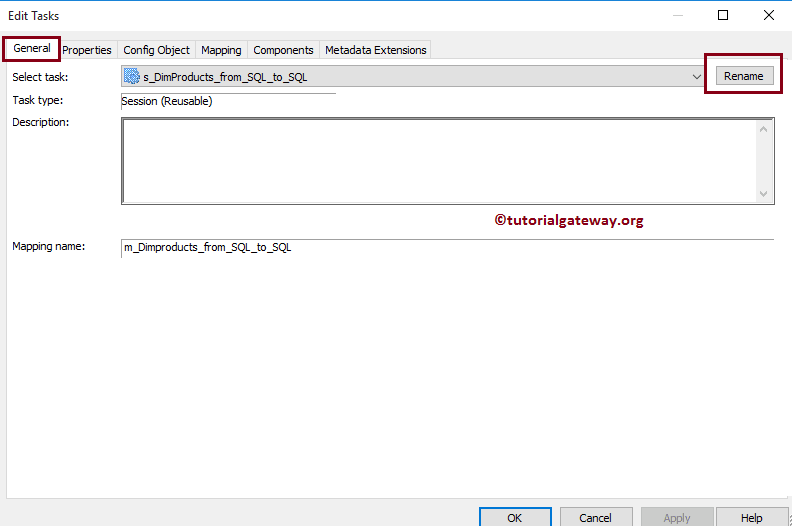 From the below screenshot you can observe that we are in the Target Designer. 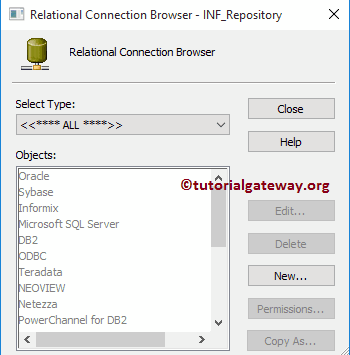 Before we start creating Reusable Session in Informatica we have to configure the relational database connections. 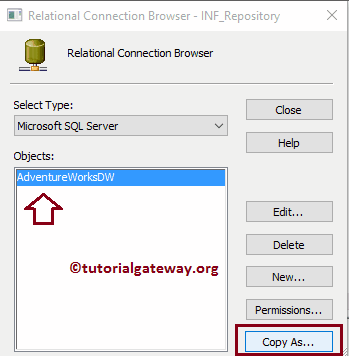 In order to do this, Please navigate to Connections Menu and select the Relational option as shown below. 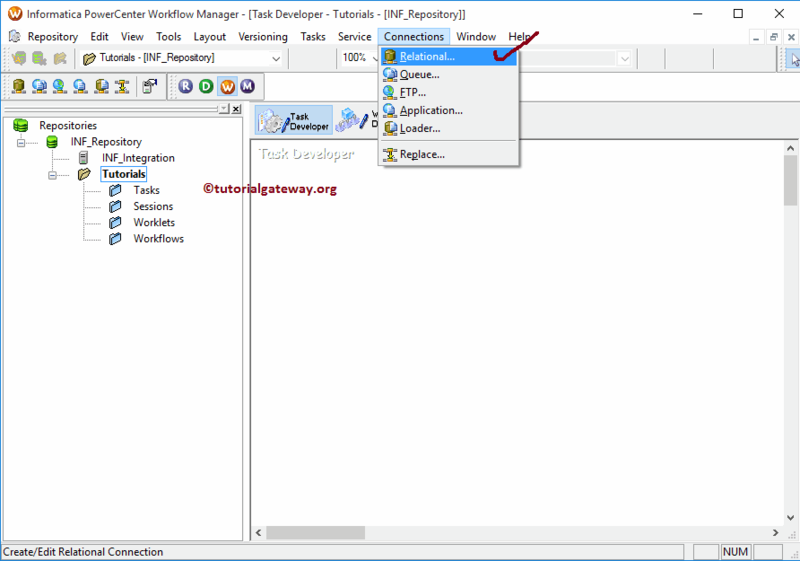 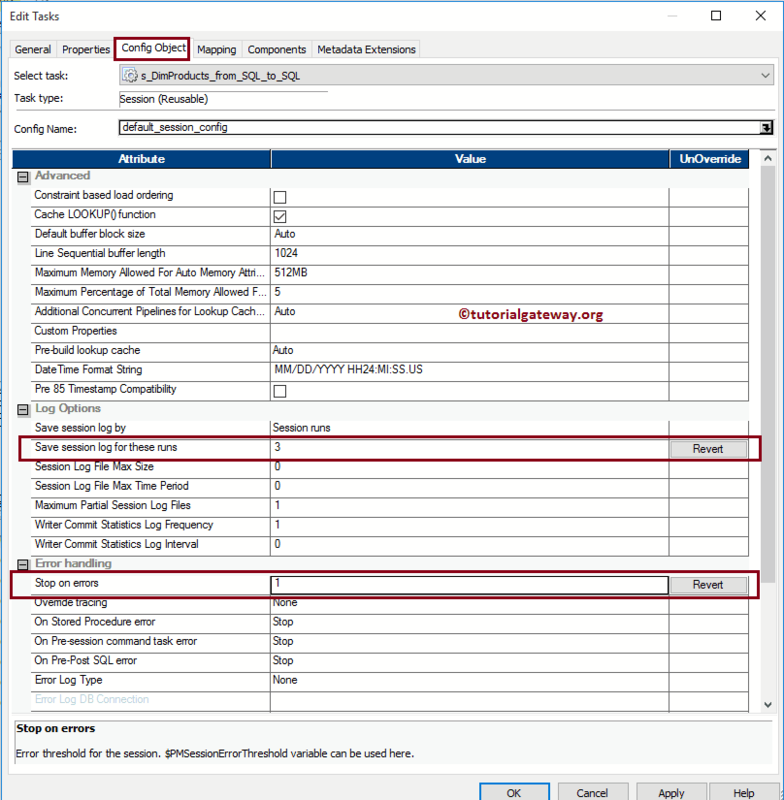 In order to create reusable Session in Informatica, Within the Task Developer, Please navigate to Tasks Menu and select the Create option as shown below. 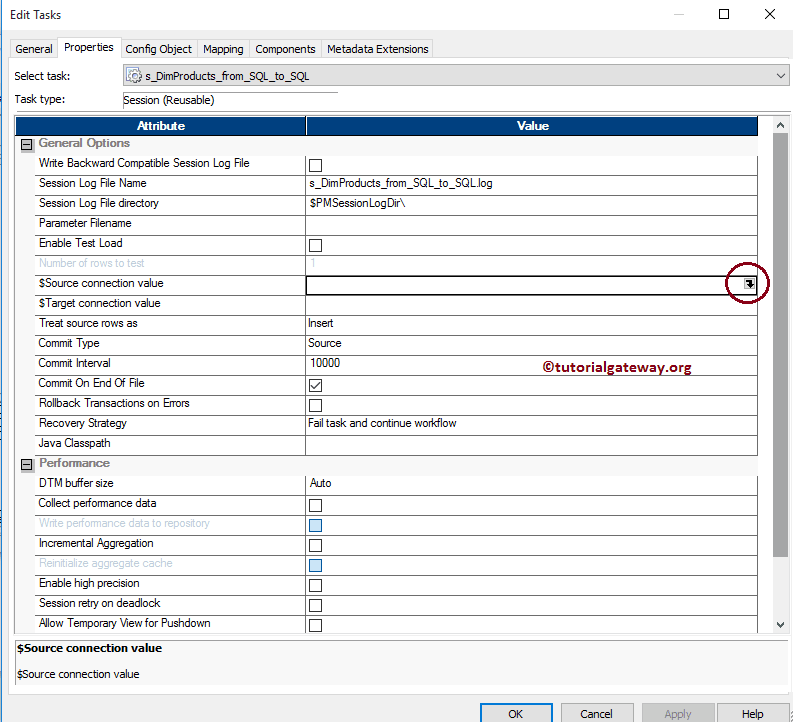 $Source connection value: This property will store the relational source information in $Source variable. 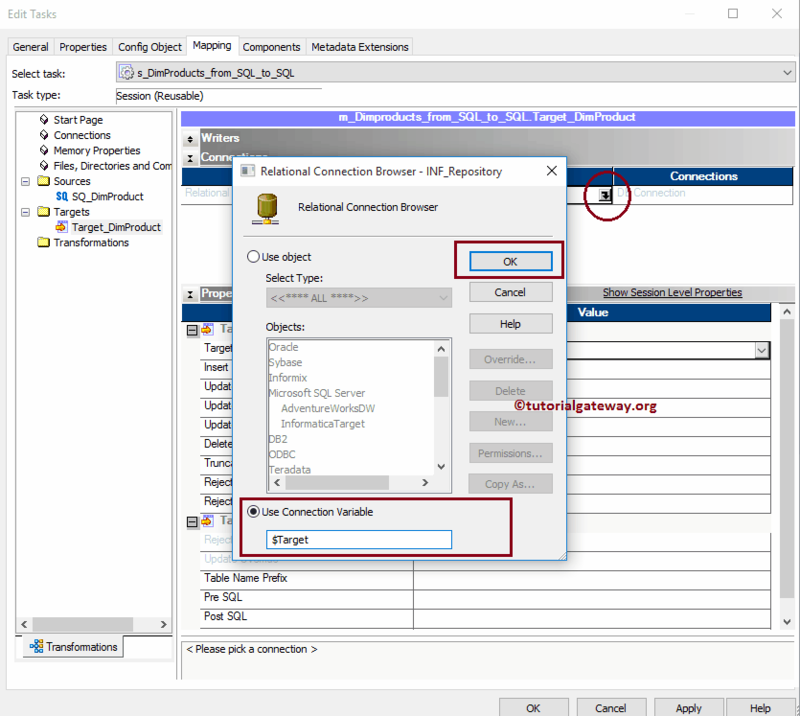 So, we have to configure the source connection by Click on the Arrow we marked below. 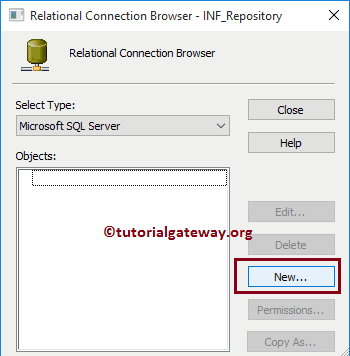 TIP: If you want to create a new connection then, you can use the New button to create one. 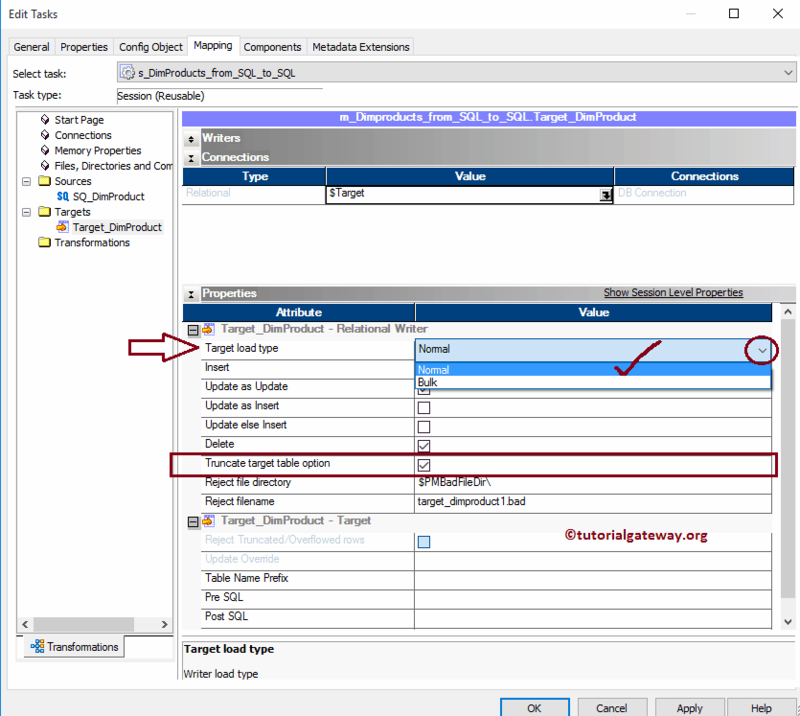 $Target connection value: This property will store the relational target information in $Target variable. 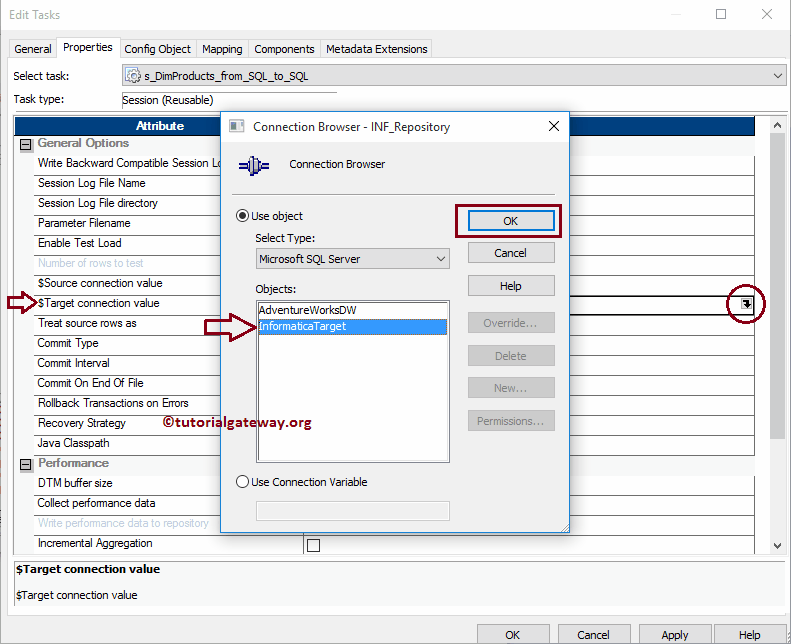 So, we have to configure the target connection by Click on the Arrow we marked below. 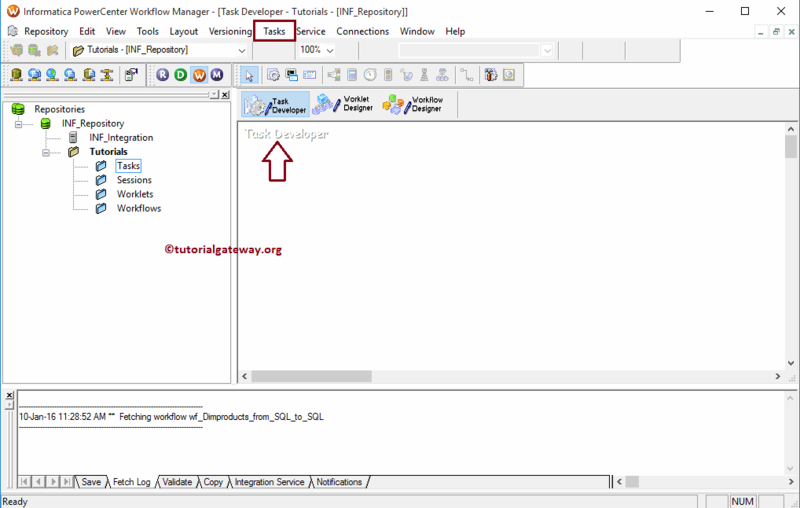 Stop on Errors: Please specify, how many errors you want to tolerate. 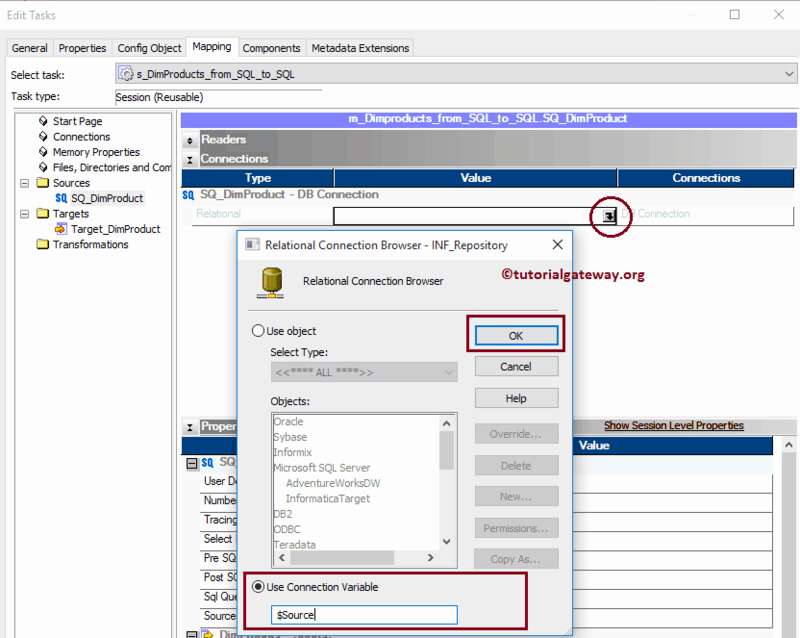 For example, if you specify 3 then the session will run until it encounter three errors. 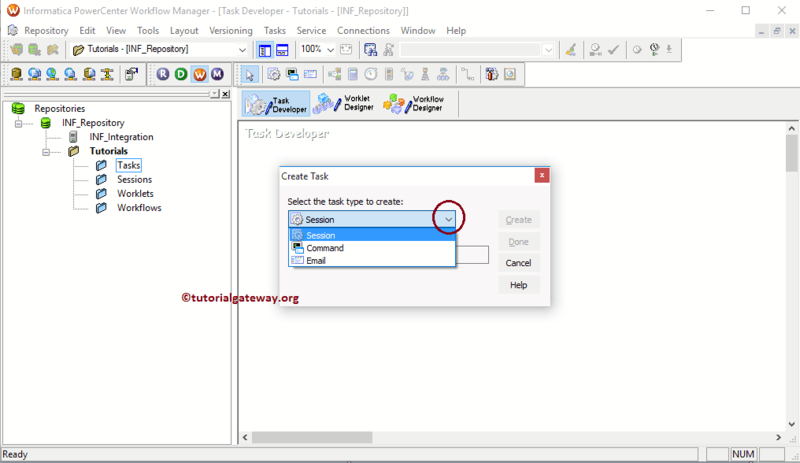 Once you finished creating the session task, we have to Validate the task before using it. 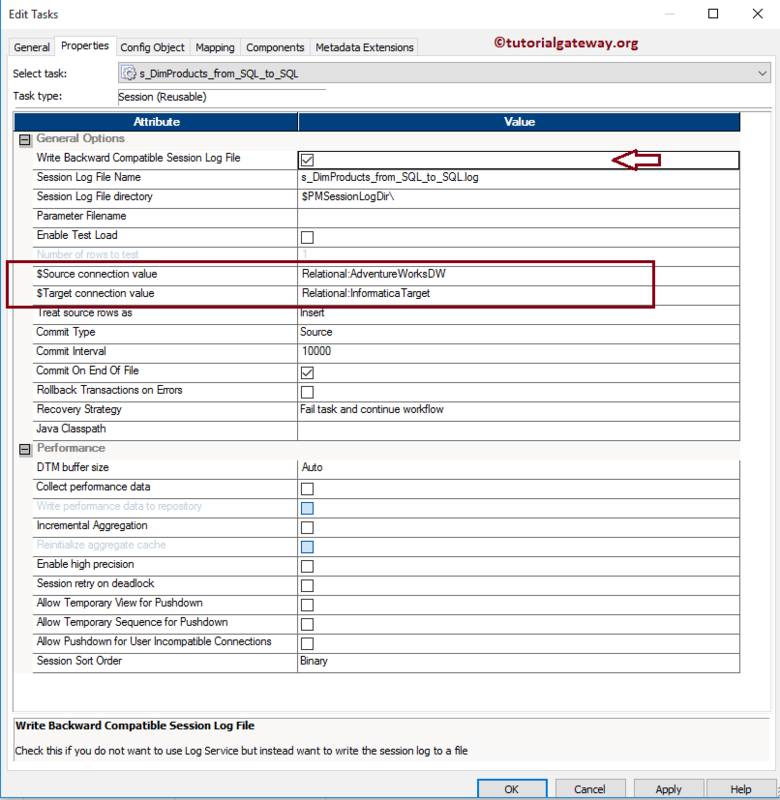 In order to do so, Please navigate to Tasks Menu and select the Validate option as shown below. 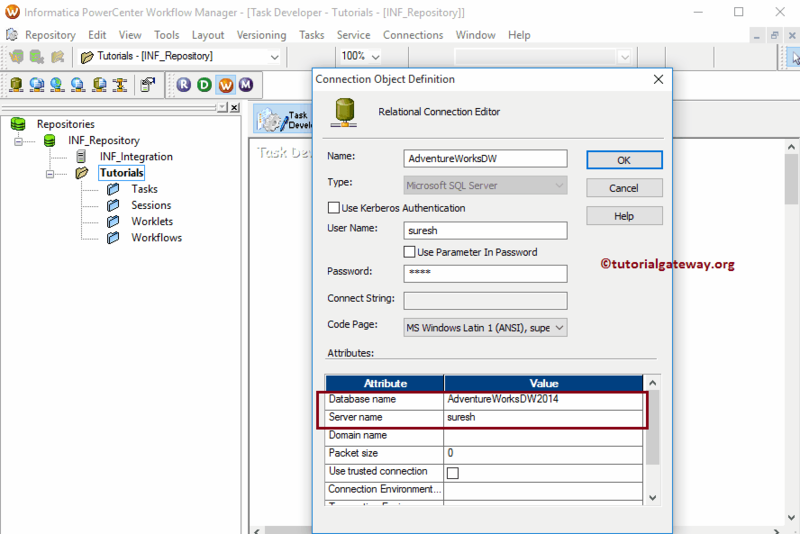 From the below screenshot you can observe that Our Reusable session in Informatica is a valid one.